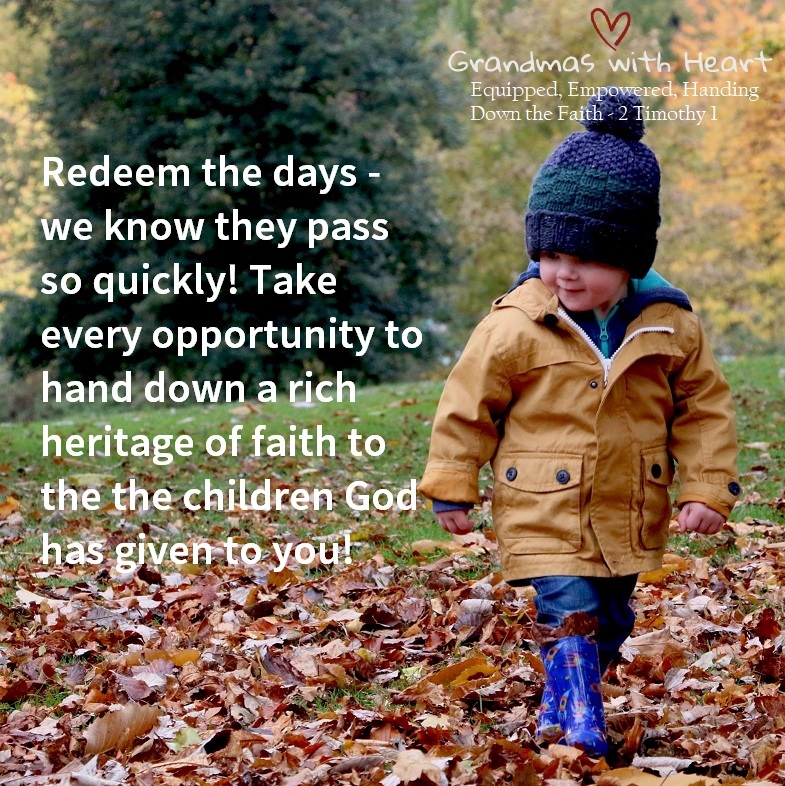 grandma's cookie jar: Redeem the Days - Hand Down a Heritage of Faith! We grandmas know something our adult children do not . . . we know how quickly children grow up. Our grandchildren are growing up - very quickly. Take time today to pray for them to grow to be people who love and walk with God and make it a point this week to share with them what you do to love and walk with God. 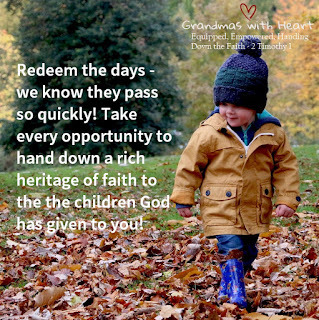 This photo is from Grandmas with Heart - please check them out at this link and share them with the people you know.